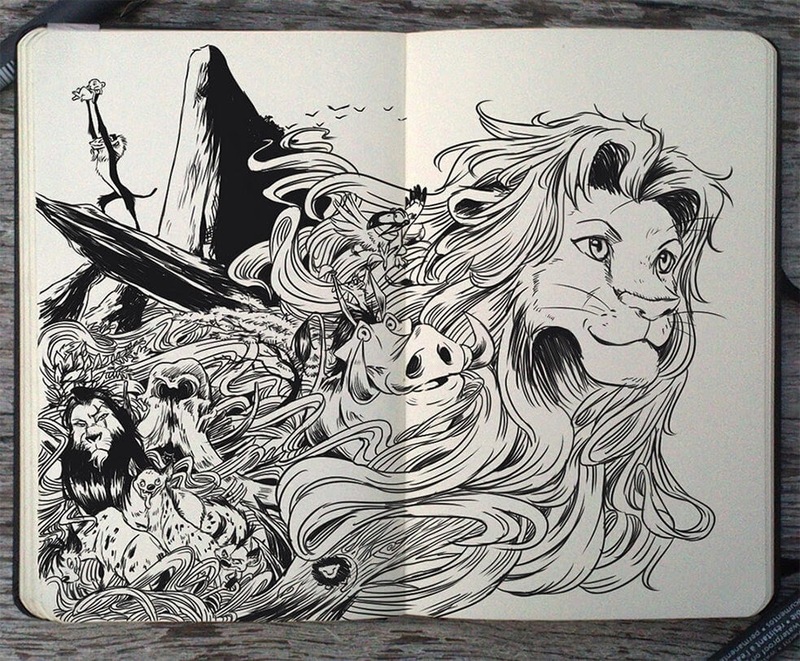 Illustrations that cover some of the best and well known, children's fables and animated movies. 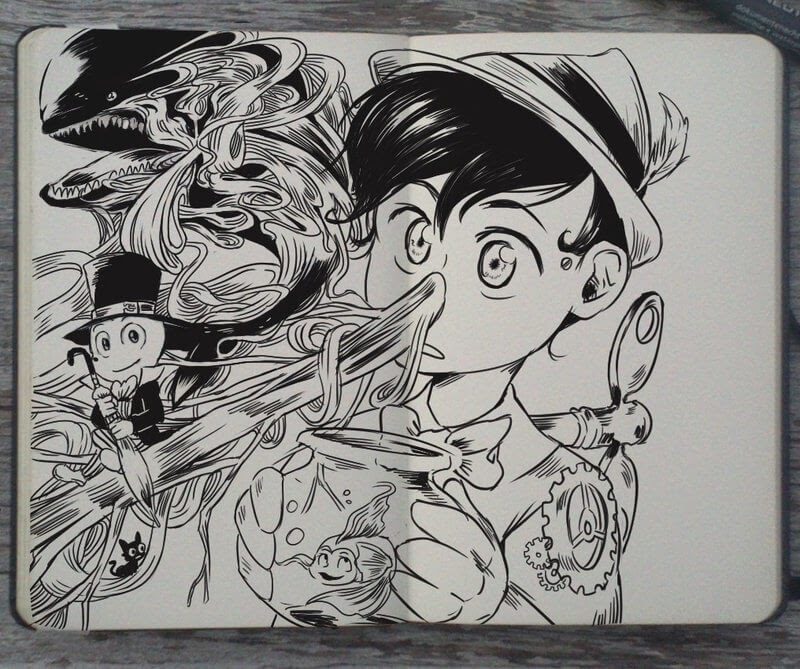 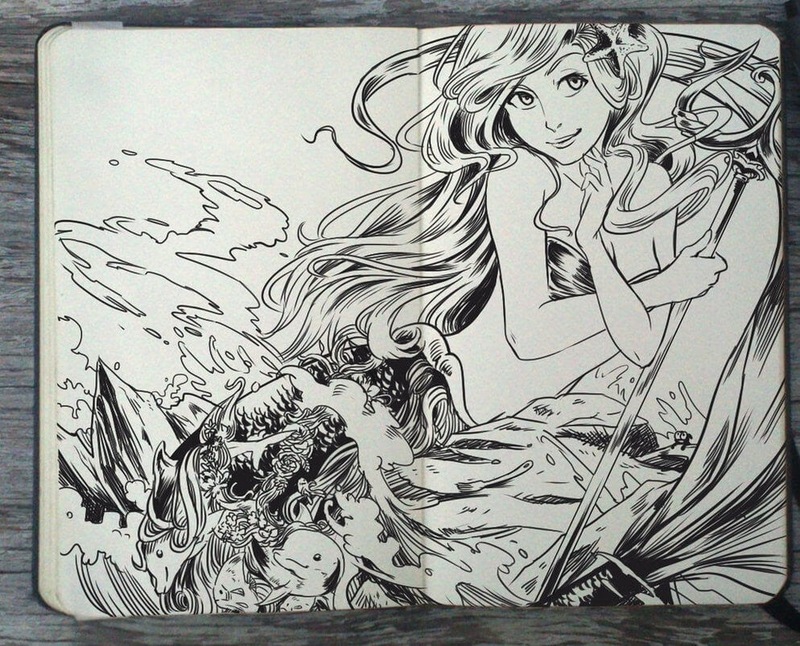 Brazilian Freelance illustrator and comic artist, Gabriel Picolo, is one of the most featured artists here on DesignStack, I have put a link to the various posts dedicated to his work, below this written portion. 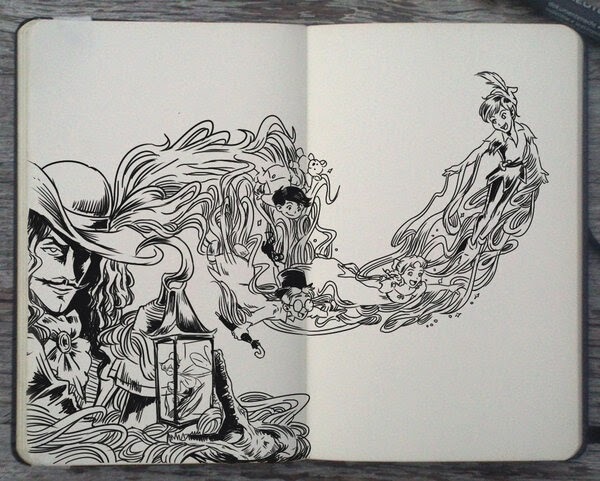 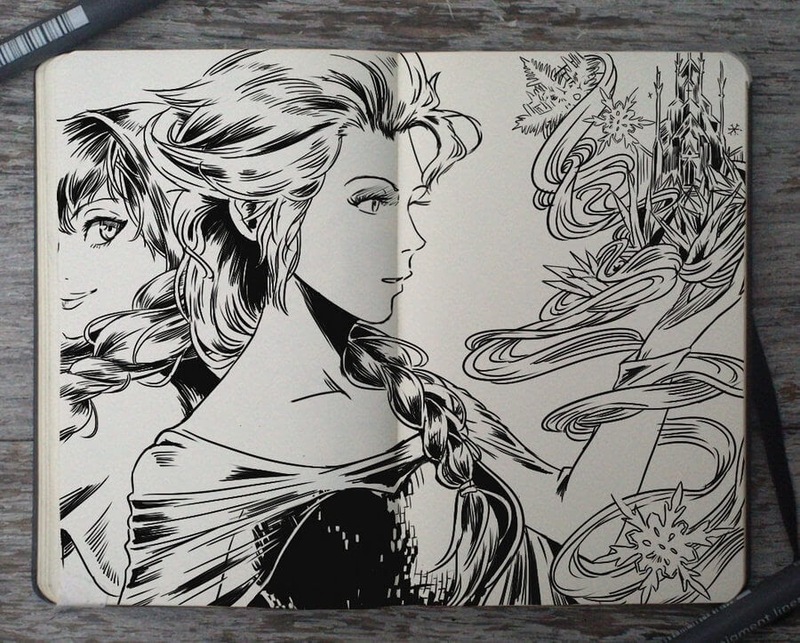 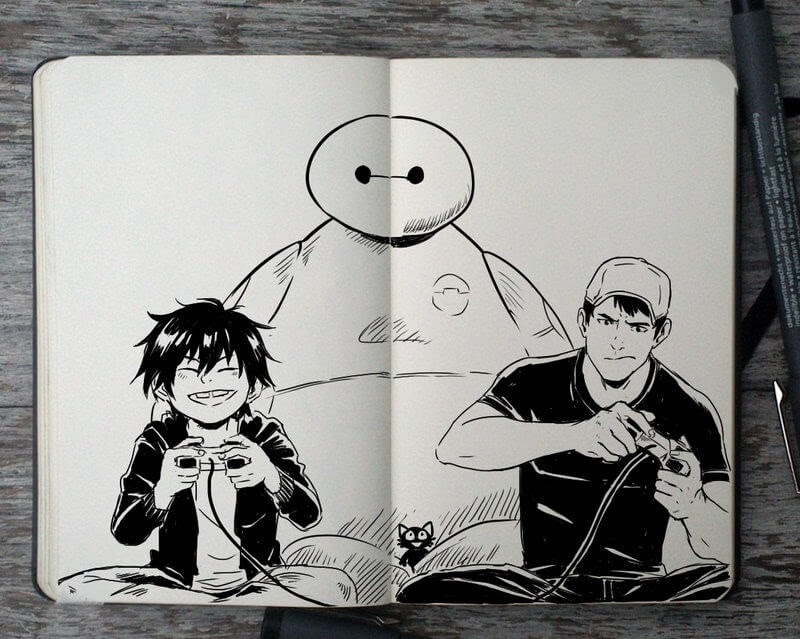 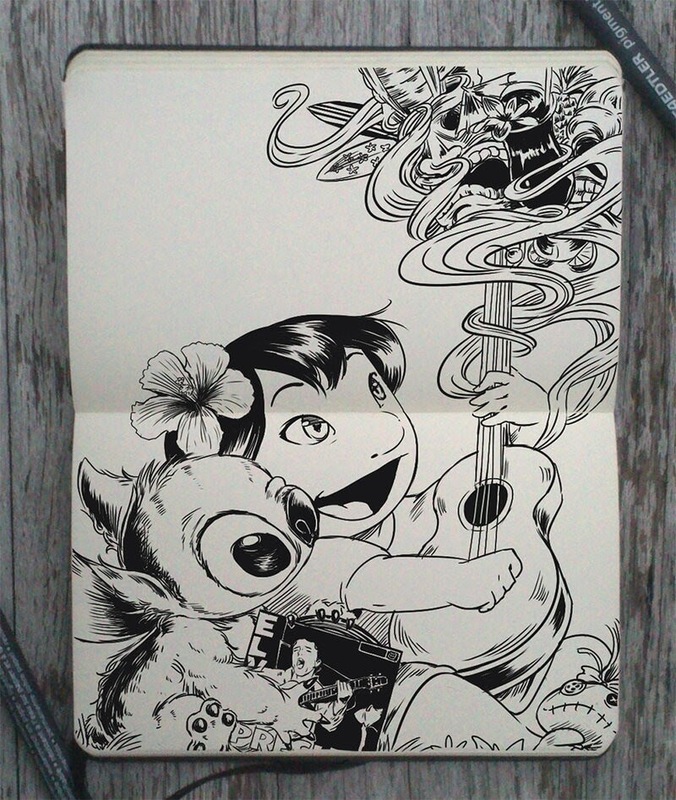 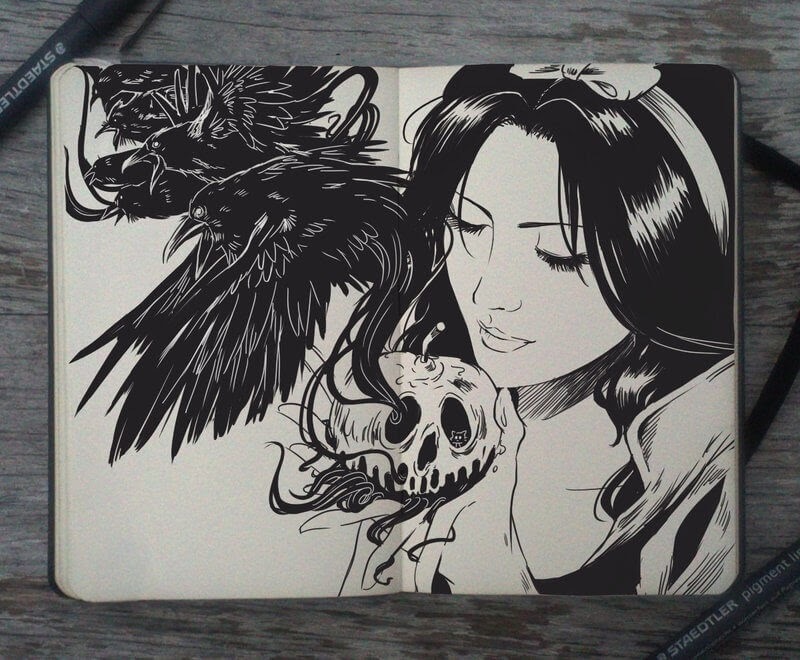 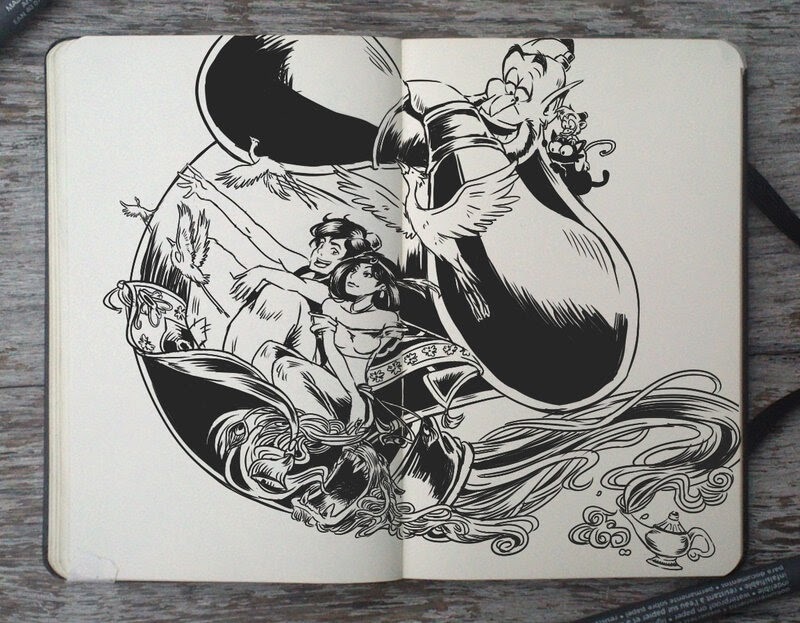 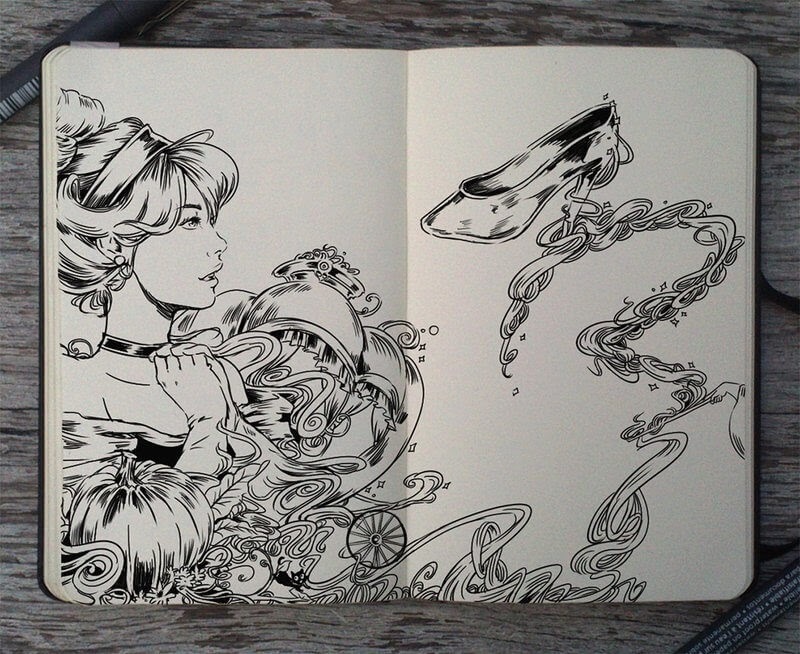 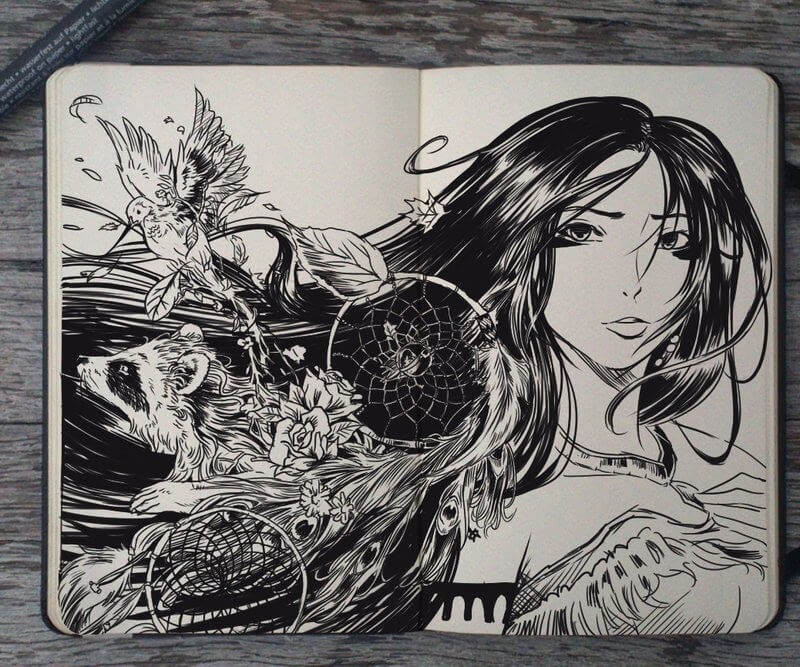 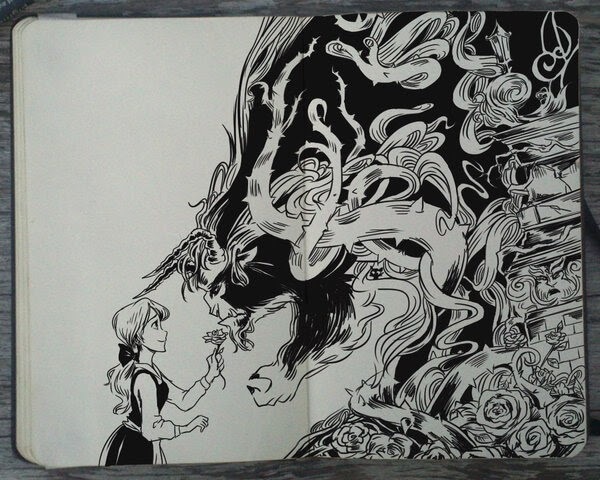 His Moleskine art, really covers many different genres, today is the turn of animated movies and childhood fantasy stories. 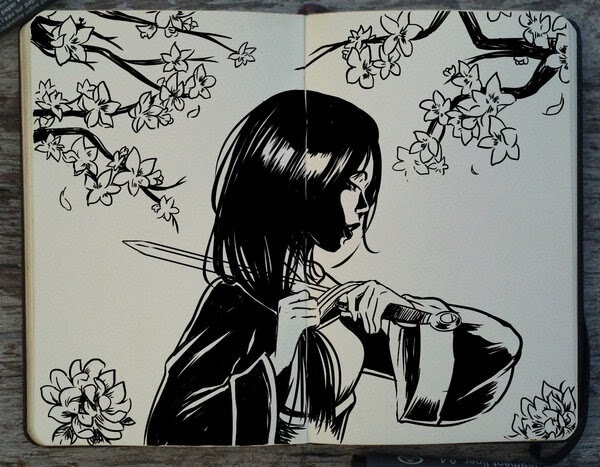 One of the things I like most about this talented artist, is that his art is not a copy of existing work, but an original and artistic interpretation of the character, or characters he is depicting. 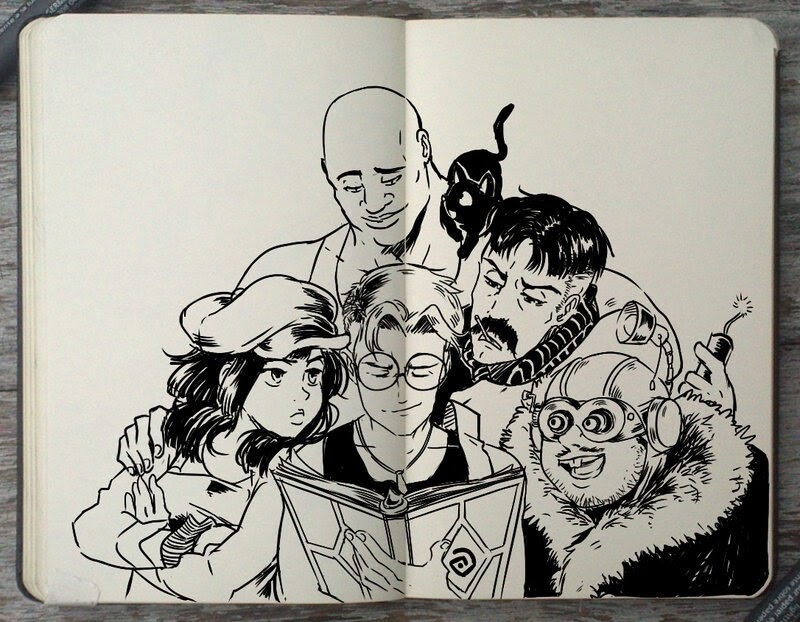 Join me, in remembering a time, when things were simpler and life was less complicated. 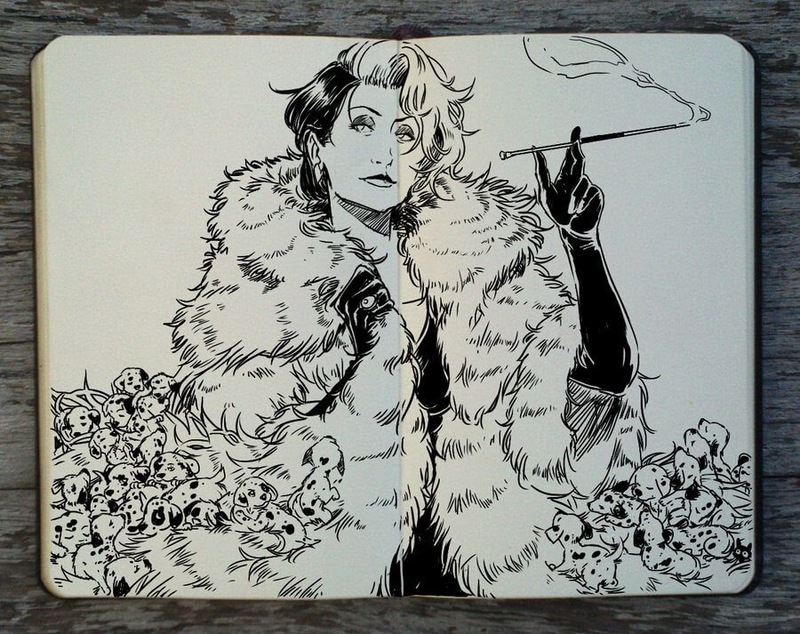 One Hundred and One Dalmatians - Cruella - Meryl Streep.